Equestrian therapy has become widespread and popular to promote emotional growth in both adults and children. In some cases, it has been used to treat disorders such ADD, anxiety, autism, dementia and even those suffering from emotional trauma such as PTSD. The Rubens Association, operating in Northern Italy, specializes in meticulous research and collaborates with prestigious institutions such as University of Turin, Rome, and Milan to expand its study on mental health and wellness. According to research, the use of horses in this type of therapy is favored because some experts say that horses behave similarly to human beings in their emotional and responsive behavior. Plus they are highly responsive and mimic their rider’s emotions. 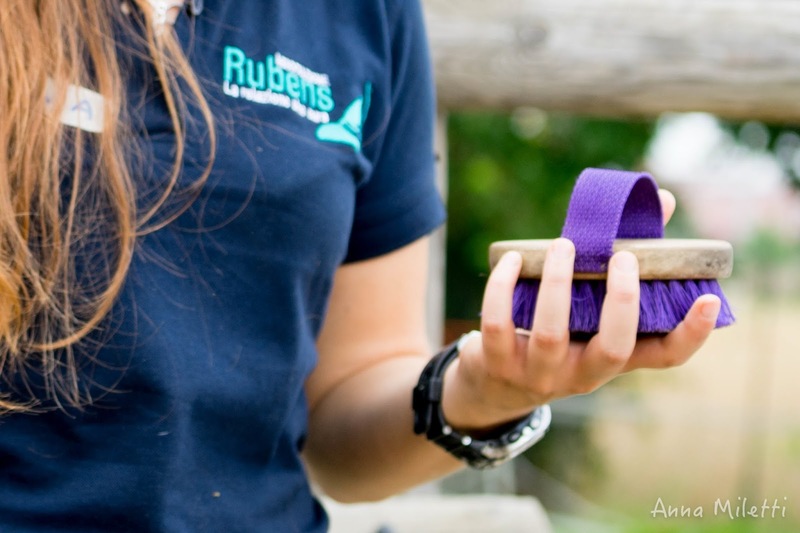 Francesca Bisacco, President of The Rubens Association explains why equestrian rehabilitation and intervention has expanded its territory by responding to occurrences involving abused women. Women For Action Voci dall’Italia: Can you tell our audience about your work at the Association Rubens? Francesca Bisacco: The Association has been working for a while with integrated physical and psychological rehabilitation for adults and children, merging the equestrian rehabilitation with different psychotherapeutic, neuro motoric and occupational techniques in order to intervene decisively in the rehabilitation of the person and, when possible of the caregivers, to increase areas of strength and get the highest possible level of autonomy of each individual. An example of this approach is the project with abused women, that worked on the trauma, the body and the socio-relational aspects. This is possible thanks to an extraordinary multidisciplinary team consisting of physicians, psychotherapists, therapists and psychiatric rehabilitators, neuro motorists, ethologists and researchers. 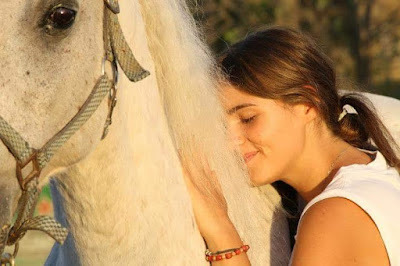 The horse is an incredible tool of relationship due to some physical and ethological features that make it a unique pet. What characterizes Rubens, however, it is scientific research. Before starting rehabilitation, we test the intervention protocol on the condition that we are going to treat. In this way, we verify its actual efficiency and establish a methodology of intervention which is codified and repeatable. We operate mainly in Northern Italy but we participated in several research projects in collaboration with the University of Turin, Rome and Milan on autism, child cerebral palsy, attachment disorders in adoptive families, chronic and prodromal psychosis, anorexia and posttraumatic stress disorder (PTSD). 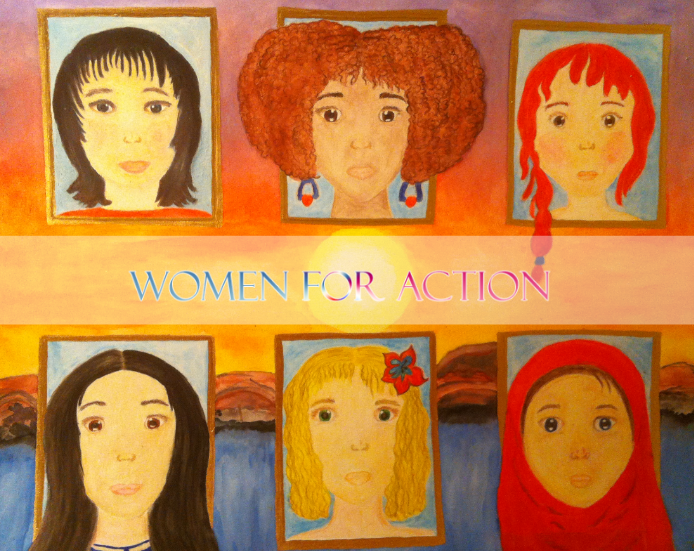 Women For Action Voci dall’Italia: Which is the human and educational itinerary that led you here? Francesca Bisacco: I have been riding since I was four years old. My parents had divorced and my father took me to mount an old mare in the weekends. He used the horse as an aid in our relationship. At age 18, by chance, as a gift they gave me a horse - Rubens, who accompanied and supported me in a very difficult time in my life. The relationship with him gave me strength and solidity. Then I majored in biology and became really passionate about nature and research. It would have been impossible for me to work in an office environment. Then I attended a two-year University’s Master course (Level 2) in pet therapy. I put it all together and I devoted myself full time to this job. I wrote my first research project on the effectiveness of the equestrian rehabilitation with severe psychotic patients together with my father who was a psychiatrist. He taught me a lot of respect for diversity. This was his last gift. He died before seeing the work started, which has been incredibly successful and has been the driving force for everything else. The project was innovative and I spoke about its results throughout Italy, encouraging those who work in this area to test this amazing tool -friend, which is the horse. Women For Action Voci dall’Italia: Can we talk about Rubens, the horse that gives its name to the Association? Francesca Bisacco: As I said, Rubens was given as a present to me. Our first encounter was disastrous, we both ended up on the ground with a big mutual scare. It was a horse full of power and vehemence, and he had a difficult past too. So, I decided to take it anyway, but I had a great fear of climbing up again. Everyone in the team gave me technical advice, but we just needed to know and trust each other. In the end, even among people it takes time, why it should be different with horses, which are also prey? So, after two weeks of trying, one morning I went to him very early, the stable was empty, I looked into his eyes and told him that at that time we'd go all in. I had to be able to ride him in one month, otherwise I would have to return him. We trusted each other and that was the beginning of a special friendship that lasted for 14 years. Women For Action Voci dall’Italia: What makes the horse a special and suitable animal in the practice of assisted interventions with animals? What differs, in the practice, the use of a horse or a dog and which are their characteristics that make them more suitable for a type of intervention and/or pathology rather than another? Francesca Bisacco: First of all, the size. It is the most impressive pet you have. This feature allows us to work on different aspects, such as fear, anxiety management, the sense of power and self-efficacy and safety. To have a friend that weights 500/600 kg makes you feel proud! Then the beauty and the iconographic power that feeds the imaginary and the symbolic sphere, and finally, unlike the dog, the horse is a prey and as such it is suspicious. The relationship with the dog belongs to us much more as we are both carnivores and predators. Usually a dog will greet us with a wagging tail even at the first meeting, while the trust of a horse must be won and it is a long and complex process that requires a deep management of body and instincts. If a patient seems aggressive, the horse will never get close. Women For Action Voci dall’Italia: What is the current legislation in Italy in relation to the IAA (Animal Assisted Interventions)? Francesca Bisacco: On March 25, 2015 the Guidelines to National Pet Therapy governing the Educational (EAA) and Therapeutic (TAA) Interventions were approved, identifying the health professionals involved, belonging to the multidisciplinary team, and the training they need to follow. Then some regions, such as Piemonte, have a law that specifically regulates the application on its territory. I am part of the Commission of the Piemonte Region. At national level, there is a Reference Centre, created by the Ministry of Health that coordinates the various realities. While there is still a lot to do, for example there is not a Register for this profession, compared to some years ago, we have made considerable progress and there is a stronger political will to harness the power of animals in the health field. 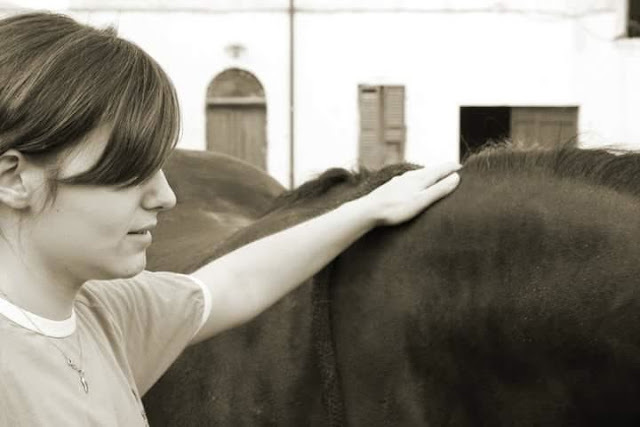 Women For Action Voci dall’Italia: Can you talk about your equestrian rehabilitation project dedicated to women victims of sexual and/or domestic violence in the past and subject to complex PTSD (Post Traumatic Stress Disorder)? Francesca Bisacco: The project was created to respond to a need in the area. We decided to intervene on abused women because of the sadly high incidence of cases. We have identified as main objectives the development of the trauma through a psychotherapeutic technique called EMDR (Eye Movement Desensitization and Reprocessing), the recovery of a healthy body size through contact and specific exercises with the horse, Mindfulness and social reintegration, especially by stimulating the relationship mediated by the common motivating presence of the horse and the group activity. The project, in addition to accomplish unexpected results related to the desire to express themselves and communicate and to the improvement of mood, created a group of motivated and full of new hope women, that still network and support each other. Women For Action Voci dall’Italia: Can we talk about the intervention techniques that you used: Mindfulness, EMDR and Equestrian Rehabilitation? How did they communicate and which were the results? Francesca Bisacco: Our team collaborates, depending on the pathology, with external specialists. For this and other projects we availed of experienced psychotherapists in Mindfulness and EMDR. The first is a technique that derives from Buddhist meditation and focuses on the perception of their feelings and listening to one's own body in the present moment. The awareness that results helps overcome the discomfort. The second is a technique that has neurophysiological foundation and is particularly effective in the treatment of trauma or acute stress. This methodology uses eye movements or other forms of stimulation alternating right / left, to restore the balance between excitatory / inhibitory feelings, thus causing better communication between the brain hemispheres. When there is a "traumatic" event, this balance necessary to process information is disturbed and trauma can be "frozen" in its original form and can cause anxiety-disorders such as PTSD. Equestrian rehabilitation often supports psychotherapy. We have dealt with cases in which the patient did not want to interact with their physician for years and, after two months of treatment with the horse, became open to dialogue and accepted treatments. With these women we worked on a healthy relationship with the animal, on the recovery of trust in others and the relationship with the body. After being abused, even just the act of opening the legs to ride a horse is to overcome a visceral and overwhelming fear. I want to say that to make the most out of the horse's potential you need to build an ad hoc rehabilitation project for each individual that also involves other specialists. Women For Action Voci dall’Italia: You have also collaborated in the writing of the pilot project "Effectiveness of equestrian rehabilitation with patients suffering from nervous anorexia": what can you tell us about it? Francesca Bisacco: Even in this case we return to the concept of perception of their body, in this case almost non-existent, with huge and powerful animals. For the project, we used cart horses that can weigh even 900 kgs. Apart from this, as Anorexia is a symptom of a far deeper unease, it works on autonomy and therefore emancipation from parents and the sense of self-efficacy. Self-esteem flows through positive channels and not through controlling hunger. The horse is a tool of identification in relation to their inner and not outer beauty. Women For Action Voci dall’Italia: You and your team also worked with children and with psychotic patients. Can we talk about these experiences of practice and research and their results? Francesca Bisacco: Our group specializes in psychiatric diseases and behavioral disorders. We treat many psychiatric adults, with a well-established time-honored protocol with tremendous results in almost all cases. The real difference compared to more traditional rehabilitation treatments is given by the context in which the meetings are held. Working in a de-medicalized environment like the stable immediately puts the patient in a more “normal” reality and stimulates the relationship and the autonomy. Our Association is also involved in vocational training for patients and their job placement, preparing and supporting them both technically and psychologically. The presence of the horse and its motivational force, ensures continuity and a resistance to fatigue that were unthinkable in many other areas. We also treat many children. Three years ago, we participated in a national scientific research, promoted by the ISS, on the effectiveness of the equestrian rehabilitation with 56 autistic children. Compared to the control group, they showed a significant improvement in terms of environmental adaptability, problem solving, duration of attention spans, which are fundamental for the school behavior and motor skills and impulse control. DSAs are complex and, therefore, the entire team has received special training in this area before starting the treatment. Sadly the children with relationship problems are every day more numerous. The use of electronic tools, relational deprivation, hyper-protectiveness of parents and lack of confrontation, prevent the proper development of their personalities. In this case, the horse is used as a tool in the acquisition of behavioral rules and as a solid framework in which to discover and experience relationships, strengths and weaknesses. Women For Action Voci dall’Italia: Tell us about the method of 3C (Conoscenza, Capacità, Confronto- Knowledge, Ability, Comparison) used in your therapeutic practice? Francesca Bisacco: An equestrian rehabilitation path is a great emotional and physical effort and requires the acquisition of specific skills and the relationship with an impressive animal. So it is crucial that every step takes place gradually. The 3C method was invented to split the rehabilitation process into three fundamental moments. The first part is dedicated to the knowledge of the world related to the horse, its ethology and living habits. We believe that friendship goes through mutual understanding. The second important step is the acquisition of new skills / abilities related to horse (bring it to the lead rope, turn the rope, saddle it, etc. ...) and finally the moment when the experience and what has been learned is shown to others. The moment of confrontation, played through essays, performances or role reversals, it is the objective return of their own enrichment and makes aware of what was experienced. Women For Action Voci dall’Italia: How do you protect the interests of animal welfare as well as those of the person? Francesca Bisacco: The Association collaborates with the University of Veterinary Medicine who monitors the welfare of the horses that we use in rehab. This is carried out through aptitudinal periodic tests, blood tests to evaluate the cortisol (the stress hormone) and the heart rate monitoring. A recent study found that horses are more stressed when mounted by professional riders than by disabled people. It is vital that horses do different activities and not only rehabilitation and that they can enjoy moments outdoors in the paddock. 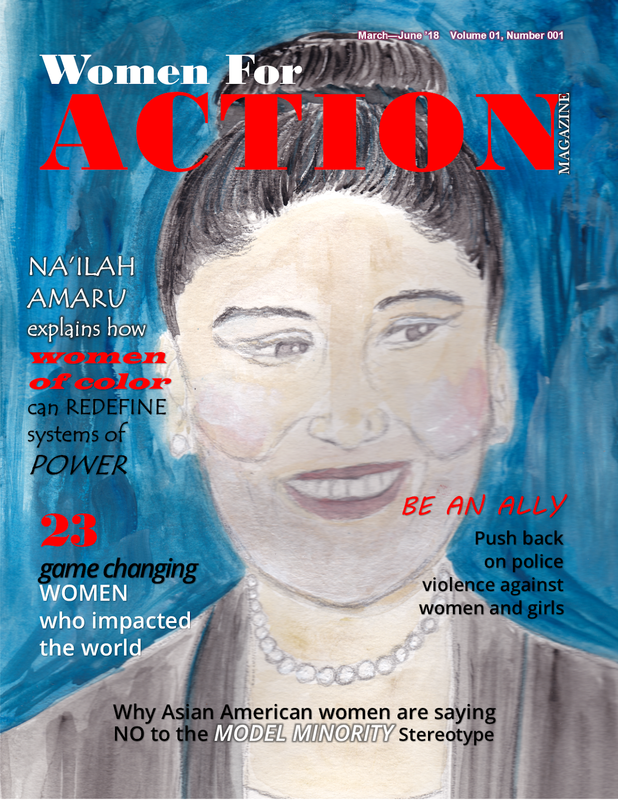 Women For Action Voci dall’Italia: How would you advise a young girl who wants to follow in your footsteps? 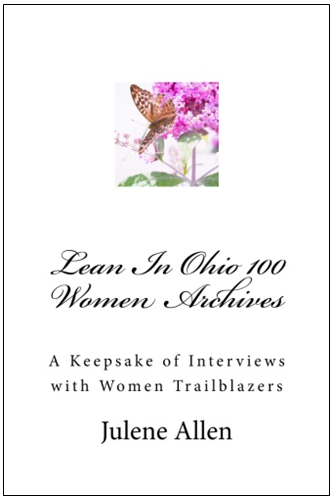 Francesca Bisacco: It is a wonderful work, full of enormous human and professional rewards. However, it requires a very long technical preparation, it is physically hard as you work exposed to any kind of weather. It is really amazing to be able to work with horses and with such a generous and skilled team. 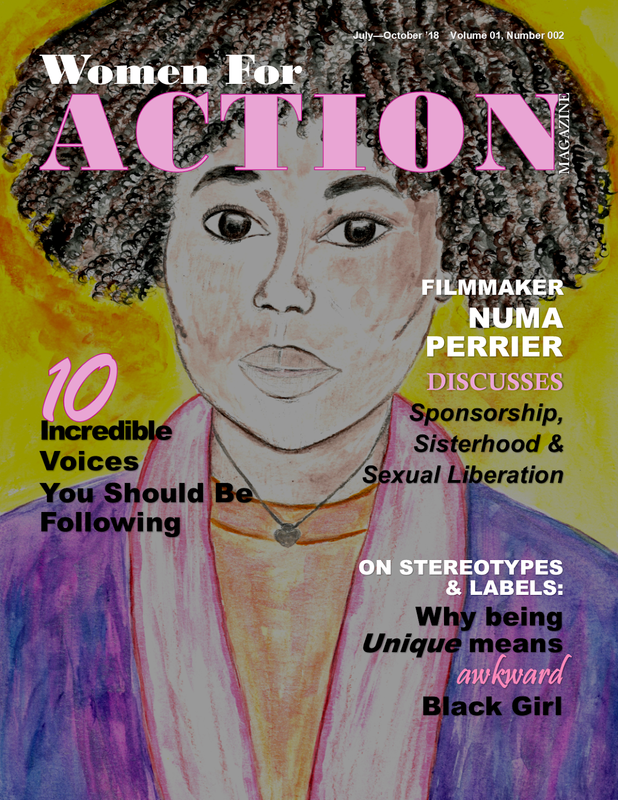 Women For Action Voci dall’Italia: Tell us about a dream you wish to fulfill? Francesca Bisacco: I want to create a large multipurpose rehabilitation center with horses, where they could follow young children through their growth path and help them live with their disabilities. And in a while, I would like to create an Academy of equestrian rehabilitation and organize exchanges with professionals and young people coming from abroad.